The Hercules E2 has been massively successful. The Mk4 builds on all the amazing functionality of the E2 but adds an in-built soundcard removing the need for a seperate soundcard for cueing up. Bundled with the amazing Virtual DJ DLC edition so as soon as you take the Mk4 out of the box, you can get started. The DJ Console Mk4 has a full raft of features and functionality you would expect on a much more expensive controller. Loops and effects are included and easily accessible with clear controls. There are two inputs so you can use the Mk4 as a traditional mixer with CD players or turntables. Full EQs are included so you remain in total control. The included protective lid keeps the unit safe from gig to gig. A smart red graphic for the top of the unit allows you to customise the unit so you stand out from the crowd. The Mk4 represents amazing value for money and will be a massive hit for years to come. Considering purchasing the Hercules DJ Console Mk4 Controller With Soundcard? Have questions? Ask people who've recently bought one. Do you own the Hercules DJ Console Mk4 Controller With Soundcard? Why not write a review based on your experience with it. 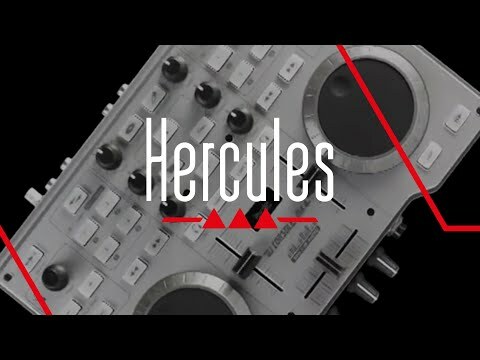 Seen a video for Hercules DJ Console Mk4 Controller With Soundcard online or have you own video? 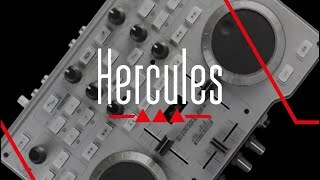 Check out Hercules DJ Console Mk4 Controller With Soundcard on DJkit.com!